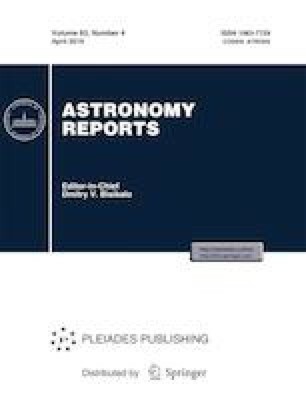 A catalog of Galactic globular clusters has been compiled and used to analyze relations between the chemical and kinematic parameters of the clusters. The catalog contains positions, distances, luminosities, metallicites, and horizontal-branch morphology indices for 157 globular clusters, as well as space velocities for 72 globular clusters. For 69 globular clusters, these data are suppleented with the relative abundances of 28 chemical elements produced in various nuclear-synthesis processes, taken from 101 papers published between 1986 and 2018. The tendency for redder horizontal branches in lowmetallicity accreted globular clusters is discussed. The discrepancy between the criteria for cluster membership in the thick-disk and halo subsystems based on chemical and kinematic properties is considered. This is manifest through the fact that all metal-rich ([Fe/H] > −1.0) clusters are located close to the center and plane of the Galaxy, regardless of their kinematic membership in particular Galaxy subsystems. An exception is three accreted clusters lost by a dwarf galaxy in Sagittarius. At the same time, the fraction of more distant clusters is high among metal-poorer clusters in any kinematically selected Galactic subsystem. In addition, all metal-rich clusters whose origins are related to the same protogalactic cloud are located in the [Fe/H]–[α/Fe] diagram considerably higher than the strip populated with field stars. All metal-poor clusters (most of them accreted) populate the entire width of the strip formed by high-velocity (i.e., presumably accreted) field stars. Stars of dwarf satellite galaxies (all of them being metal-poor) are located in this diagram much lower than accreted field stars. These facts suggest that all stellar objects in the accreted halo are remnants of galaxies with higher masses than those in the current environment of the Galaxy. Differences in the relative abundances of α-process elements among stellar objects of the Galaxy and surrounding dwarf satellite galaxies confirmthat the latter have left no appreciable stellar traces in the Galaxy, with the possible exception of the low-metallicity cluster Rup 106, which has low relative abundances of α-process elements. Russian Text © V.A. Marsakov, V.V. Koval’, M.L. Gozha, 2019, published in Astronomicheskii Zhurnal, 2019, Vol. 96, No. 4, pp. 267–283. Supplementary materials are available for this article at https://doi.org/10.1134/S1063772919040048 and are accessible for authorized users. Supplementary material is available for this article at https://doi.org/10.1134/S1063772919040048 and is accessible for authorized users. Supplementary material, approximately 14 KB. Supplementary material, approximately 52 KB. Supplementary material, approximately 29 KB.